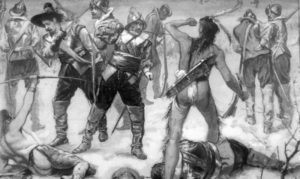 Telling the Mayflower Story – Thanksgiving or Land Grabbing, Massacres & Slavery? 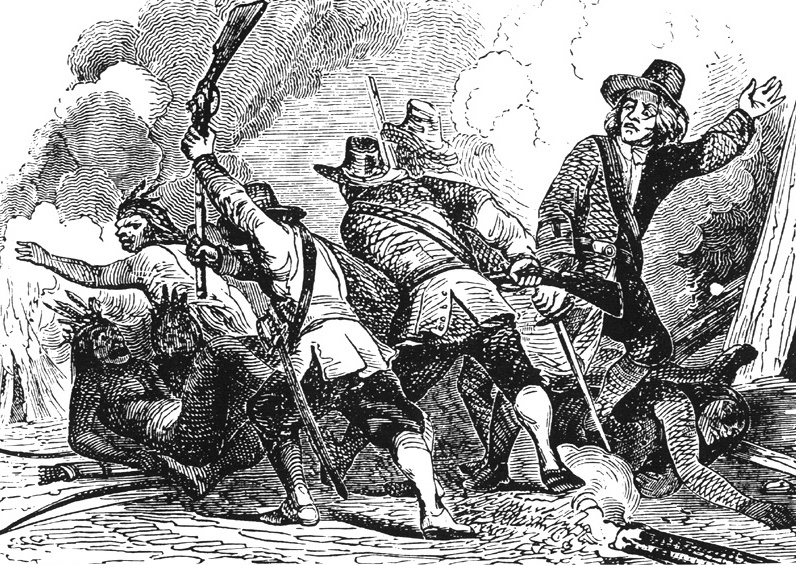 Thanksgiving or Land Grabbing, Massacres & Slavery? A Socialist History Society publication by Danny Reilly & Steve Cushion. The Mayflower passengers who started the New England colonies in 1620, are taken as the Founding Fathers of the USA, hence their importance. But this English colonial territory was founded on land forcibly taken from the Indigenous Nations of the region. Moreover, from the earliest European settlement until the final end of slavery, New England was enmeshed in slavery. Myths are dangerous and national myths are particularly dangerous. The Mayflower story is normally told from the point of view of the colonists. We hope to add a little balance by trying the see the history from the point of view of the other participants and their descendants: the original inhabitants who lost their land and the Africans who were victims of enslavement. Buy a copy of Telling the Mayflower Story: Thanksgiving or Land Grabbing, Massacres & Slavery? “Puritans, Indians, and the Concept of Race” by G. E. Thomas, The New England Quarterly, Vol. 48, No. 1, March 1975.